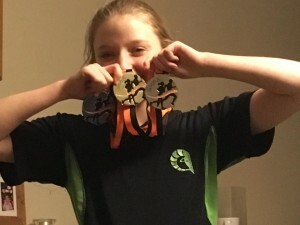 Juniors Sporthall Success! 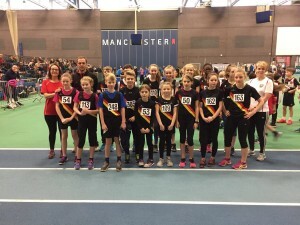 | Rochdale Harriers & A.C.
16 Rochdale Harriers Juniors competed at the Greater Manchester Sportshall Championships at Sports City, winning 11 medals, including 2 gold. 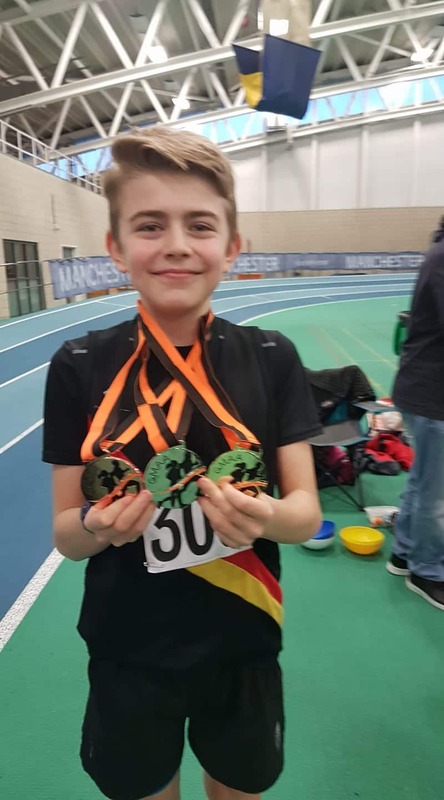 Adam Fern won the U13 boys 6 lap race, was 2nd in the vertical jump and 3rd in the standing triple jump. Dervla Moore won the U15 girls standing long jump, was 2nd in the 6 lap race and 2nd in the 2 lap race. 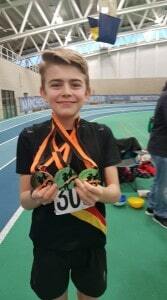 Roseangela Terim was 2nd in the U15 girls 4 lap race, Kieran Carrigan was 2nd in the U15 boys speed bounce and 3rd in the standing long jump and standing triple jump and Niamh Dolan was 3rd in the U11 girls 1 lap race. 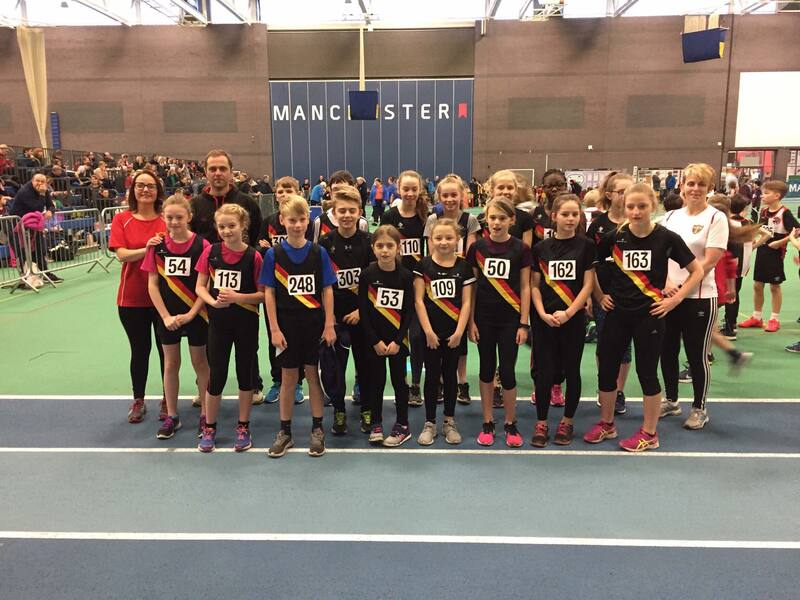 Well done to all the Harriers who took part and represented the club so well, also a big thank you to coaches Amanda, Simon and Lisa.